Getting their first job is one of the biggest steps young persons make in their journey to adulthood. Recently, four young persons with disabilities made this step with the assistance of the Transition and Employment program at Easter Seals Greater Houston. Jason, Christopher, George, and Helmer came to Easter Seals Greater Houston by different paths, but they were all looking for the same thing, help with that big step toward employment and independence. Their paths to employment were different; George found a job two days after our Transition Program staff met him, the others took several weeks to several months to find the right fit in a job. Along the way they all found out what they are capable of doing and how hard they are willing to work to be successful. Their employers – Kroger, What-a-Burger, Dollar Tree and Food Town all report that they are very happy with their new employees. George even has customers asking for him when they shop at his store. Helmer’s employer is asking us if we have more people like him for them to hire. All of us have had our first job. Some of those jobs we remember fondly, others not so fondly. But, we all learned valuable lessons that we carried with us to our next jobs. These four are learning those lessons now and will use that knowledge to continue to grow as they move forward in their careers. Every journey begins with a first step. The Easter Seals Transition and Employment program can help make those steps lead to meaningful growth and a bright future. David Wright is a recent graduate of Stephen F. Austin High School in Sugar Land where he was in our Easter Seals Houston High School High Tech / RAMP (Ready to Achieve Mentoring) program since his freshman year. David has been interested in becoming a herpetologist for a long time and knows A LOT about it. Freshman year it was hard for our staff to keep him on track because he always wanted to talk about lizards, snakes, and reptiles. We literally couldn’t get him to talk about anything else! Through the years David got better about this, was more open to participating in what the class was doing and it was obvious he was starting to pick up on the importance of our mentoring and lessons about social cues and soft skills and more. 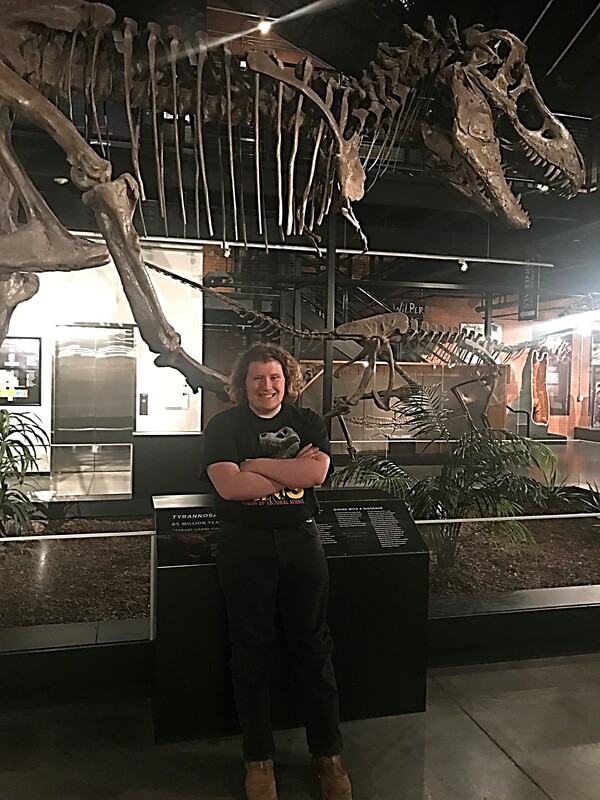 Jacquelyn Privatera Miller went with him to his interview for the internship at the Houston Museum of Natural Science at Sugar Land and he was SO professional, acted like a well prepared young adult and dressed himself so well for the interview. Everyone was really impressed. David is thriving in this environment and has opened up more and can have great conversations with people including his new co-workers. He even hugs Jacquie now when he sees her, which he would never ever have done before. So really he has just grown and matured so much in the last few years and is doing a really impressive job at his internship! Help us congratulate David as he is enjoying his 20 hours/week internship AND is also enrolled at Wharton Community College! Huge thanks to the museum and the museum staff for making it a life changing experience for David! High School/High Tech is a community-based partnership of parents, educators, rehabilitation professionals and business representatives working together to encourage students with disabilities to explore the fields of science, engineering and technology. Only 56% of students with disabilities graduate from high school. High School/High Tech was developed to address this situation. Most individuals with disabilities have not had the encouragement, role models, access and stimulation to pursue challenging technical careers or courses of study. Through High School/High Tech, students with disabilities are presented a mix of learning experiences that promote career exploration and broaden educational horizons. High School/High Tech also offers a mentoring program called RAMP – Ready to Achieve Mentor Program. Learn more about High School/High Tech. Chris is a young man in his 20’s who came to Easter Seals Greater Houston‘s BridgingApps program because of his interest in technology. He and his mother wanted to understand how he could use his mobile device to help him be more productive and organized as he began to search for a job. He owned a smart phone, but his phone was quite old and he didn’t use it for more than the basics, mostly entertainment. Part of the barrier to using his smart phone effectively was that he experienced anxiety about draining the battery, so he preferred to have it plugged into the wall, limiting his mobility. Through a generous grant from the Hogg Foundation, BridgingApps provided Chris with a new smart phone and “one on one” trainings with Digital Learning Specialist, Tara Rocha. During one of these sessions, Tara introduced the concept of a using portable rechargeable battery pack to Chris. Because it is small and rechargeable, Chris learned to plug his smart phone into this device that eased his anxiety about draining his battery, allowing him to be more mobile immediately. He learned how to create calendar appointments, add items to task lists, back up his data, use contacts, and much more. Following each session, Chris has practiced the tasks at home with an at-home assignment. When Tara demonstrated several app options for filling out forms using his smart phone, Chris became so excited that he could complete this task digitally! He found it difficult and laborious to fill out forms required for job searches and other kinds of forms as he moves into adulthood. Writing has been a challenge for him, but he is much more eager to use his phone for this task. We wish Chris the best of luck as he continues his job search, and we will continue to keep in touch as he makes progress towards his goals. Transition Success and Walmart Employee of the Month! Our Easter Seals Greater Houston Transition team met Paul and his mother last June as a Hogg Foundation for Mental Health Transition Age Youth Project of Easter Seals Greater Houston/DARS client. Thanks to the Hogg Foundation, this project offers services and support for persons, ages 16 – 27, who have are on the spectrum and have a co-occurring mental illness and is designed to help youth beco me more independent and successful in their communities. The many facets of the program include social skills training, supported employment, summer internships, college classes at the Houston Community College VAST Academy, BCBA Services, peer supports, referral assistance, financial coaching, on-line driver’s Education and access to our mobile technology program. Paul had just graduated from Sam Rayburn High School in Pasadena, Texas. His only work history was as a volunteer through a high school program with a couple of companies in the Pasadena area. Paul and his parents wanted him to find a part-time job with a number of specific permanents such as close to home, after 4:00 pm and Monday thru Friday. Together, Paul and his transition counselor, Robert Aranda, created a resume reflecting his volunteer experience and a reference list of his former supervisors. They met to complete on-line applications, practiced mock interviews and reviewed social skills for interviewing techniques. Paul interviewed with companies through Summer and Fall. In December, Wal-Mart called Paul in for an interview. 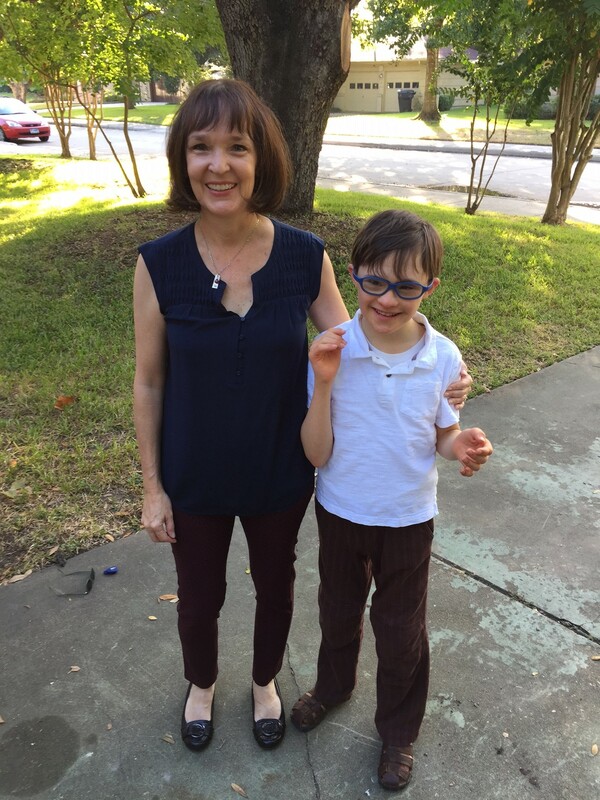 His Transition Counselor says he is a very likable and responsible individual and that he really wants to show his parents that he is able to expand his learning curve and become more independent. Paul’s interview at Wal-Mart was a hit with the Human Resources Department and he was hired this past December as a Cart Attendant. Wal-Mart was very accommodating with assisting Paul with the work schedule he needed. Within two months, Paul’s supervisors noted his work great ethic, enthusiasm and customer service. 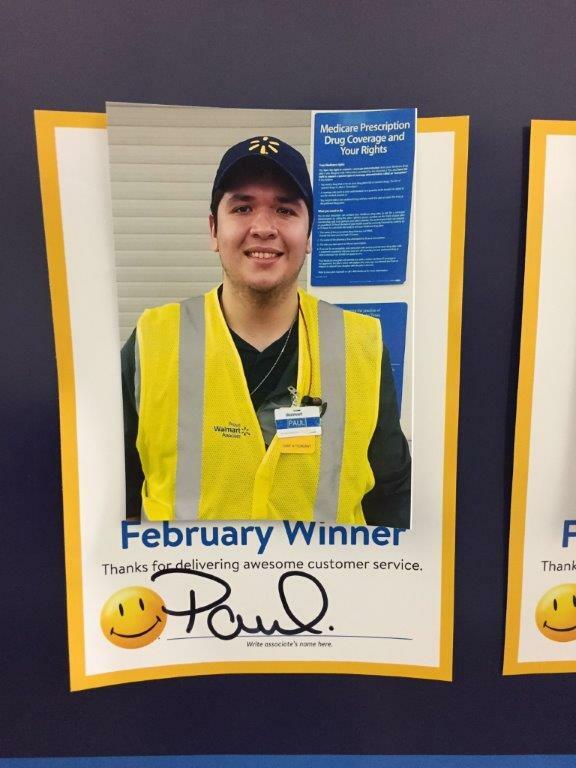 Paul was selected Employee of the Month for February!! In 2010, I was working at an educational non-profit when I helped to start a support group of parents and therapists where we shared information on how smartphones and touch tablets could help children with disabilities improve developmental skills. I was interested in how technology could help my youngest son Vincent, who at the age of 6 had the fine motor skills of an 18 month old. 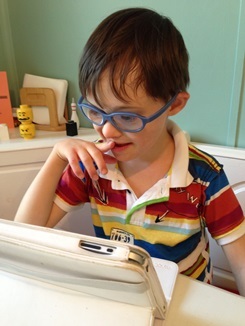 I knew that he would never write with a pen and paper, but I also knew that technology could play a big role in his early education and throughout his life. Vincent had tried joysticks and other technology prior to the tablet to write and communicate, but he needed hand over hand assistance to operate them. However, with the iPad he was able to navigate independently. What a boost to his confidence and an ease to his frustration! Other parents and therapists had similar thoughts but, because this mobile technology was so new, we spent hours exploring possibilities of which apps were the most helpful for our kids. We were overwhelmed by the sheer number of apps available, so we set out to find a way to make searching easier for parents and professionals. That support group and quest for solutions turned into BridgingApps, a website and program of Easter Seals Greater Houston. Becoming part of Easter Seals Greater Houston has been a blessing in the most profound way for this program and for our family. With the help of Easter Seals’ leadership and vision to help the program grow as quickly as possible, we have been able to make great strides in its’ development and reach. In 2014, BridgingApps won the Verizon Powerful Answers Award for Education that came with a $700,000 prize. Our website is filled with resources for people of all ages and abilities – parents, caregivers, therapists, doctors and people with disabilities – looking for the right apps to fit their needs. We now have three assistive technology labs (Thanks to The George Foundation and ATT&T) in the Houston area and satellite support groups in Austin, the Rio Grande Valley and Fort Worth, Texas. In 2016, we gave more than 55 presentations and trainings in Houston and around the country. Our website enjoys 9,000 registered users from 187 countries, 7,000 monthly visitors, a podcast segment, an online course, a regular column in a digital magazine, and 3,500 apps in our database. We are excited to explore new ways in which mobile technology can assist young adults with special health care needs, older adults, and seniors through collaborative projects with Texas Children’s Hospital, TIRR Memorial Hermann, Amerigroup/Anthem, UnitedHealthcare, and others. As a veteran of the US Army, I am thrilled and honored this year to be working on a project that provides services and mental health supports to veterans and their families by using technology. Through a generous grant from TV+FA, we are able to provide technology training in different formats to veterans and their family members. This spring we have already provided 10 Veterans Access Cafes in locations around Houston to demonstrate how smartphones can be used as a mental health support with apps like Calm, Swirlicity, and Stay Quit Coach. We continue to add content each week to www.bridgingapps.org/veteransresource to share information on apps and other technologies that benefit veterans and their families. 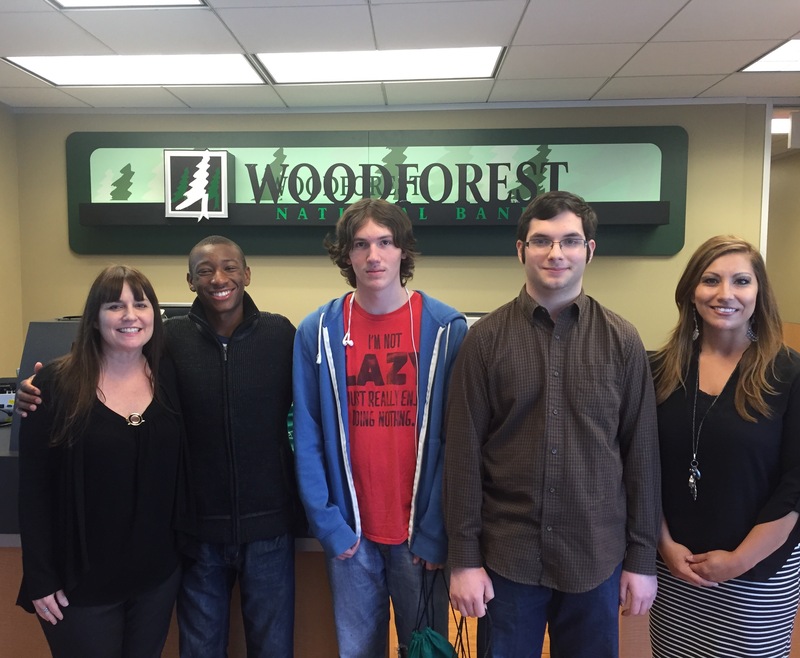 High School High Tech Royalty and Celebrating Disability Employment Awareness Month! Hear ye, hear ye! 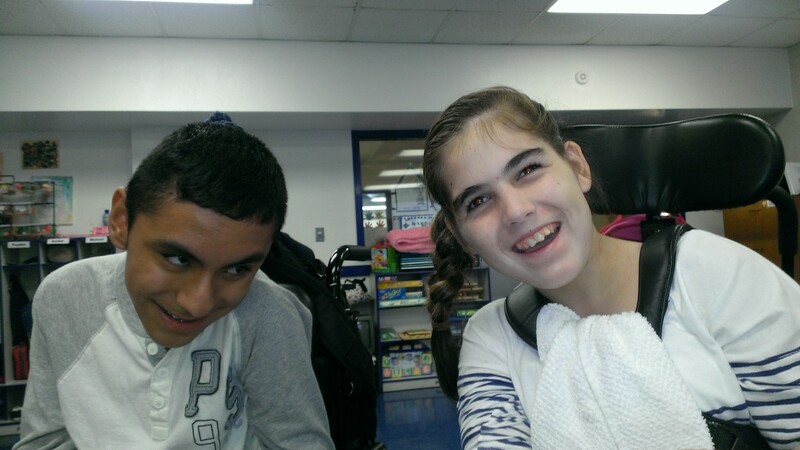 Easter Seals Greater Houston‘s High School High Tech is pleased to announce that we now have Royalty among us! 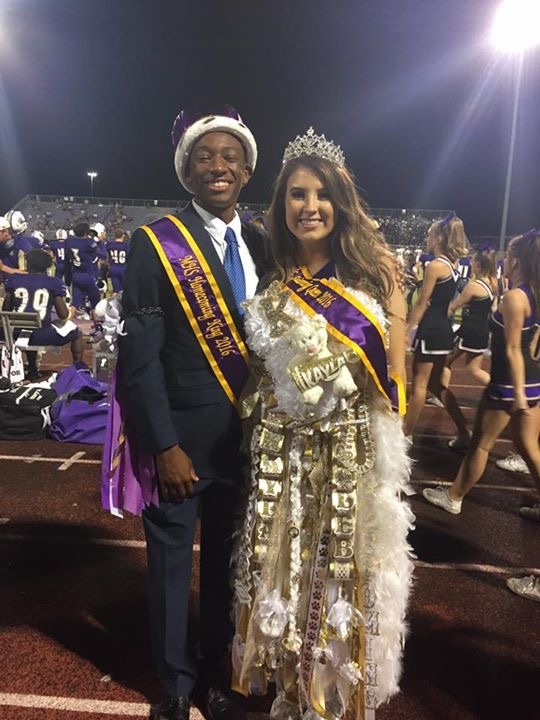 Montgomery ISD just crowned our very own HSHT student, Jahlil Howard, to be the 2016 Montgomery High School Homecoming King! Jahlil, a high school senior, is a second year participant in our High School High Tech and Ready to Achieve Mentoring program and has been a shining example of leadership to his peers. High School/High Tech is a community-based partnership of parents, educators, rehabilitation professionals and business representatives working together to encourage students with disabilities to explore the fields of science, engineering and technology. Only 56% of students with disabilities graduate from high school. High School/High Tech was developed to address this situation. Most individuals with disabilities have not had the encouragement, role models, access and stimulation to pursue challenging technical careers or courses of study. Through High School/High Tech, students with disabilities are presented a mix of learning experiences that promote career exploration and broaden educational horizons. This outgoing Senior has been super active in our HSHT program and has participated in several career field trips including Montgomery County Mock Interview Day, tours of Olive Garden and Woodforest National Bank and even defied gravity at a HSHT indoor skydiving event at IFly Woodlands! In addition to HSHT, Jahlil continues to break barriers as an avid runner and member of the MHS Varsity Cross Country Team and has been recognized with several awards for his Cross Country achievements, including District Champ, all the while maintaining his steady summer job. 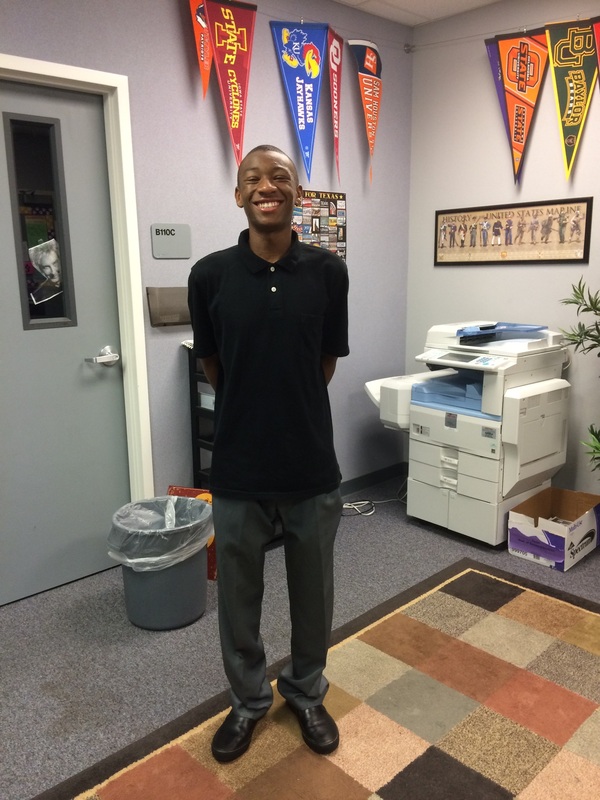 Jahlil became involved with HSHT with the support and encouragement of his MISD Transition Specialist Lesa Bolling who proudly remarked, “Jahlil is an awesome young man with an outstanding personality! He makes everyone around him feel at ease. Jahlil’s faith is grounded and he speaks of it often.” Mrs. Bolling couldn’t have said it better! Congratulations to our amazing young man, and Royal Highness, Jahlil Howard! People with charisma often go into politics, the clergy or they run successful companies. They attract admirers and influence those around them. Caroline DeLuca was a child with charisma. While she did not speak with her voice, her charisma, smile and irrepressible charm spoke to people’s hearts-she attracted hundreds of admirers and influenced everyone around her. Powerful people change the world. Caroline was, while living in a young but uncooperative body, a very powerful person. On a personal level, she changed the lives of everyone who knew her. 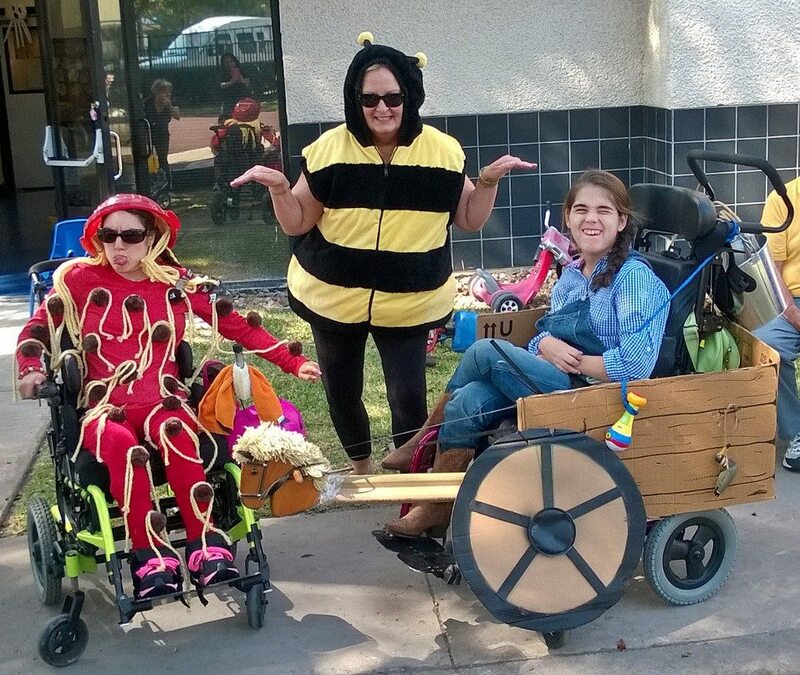 On a community level, she inspired those around her to make the world better for children with disabilities. Her amazing parents, Anthony and Elizabeth, have worked and fought and given so much to ensure that children like Caroline and their families thrive and have the help they need to face the obstacles and prejudices that arise from disability. Her sisters, Allison, Virginia Claire and Lauren-who have very different personalities from each other-each share the common traits of grace, open hearts and strength. I know that along with the example of their parents, Caroline had a lot to do with why they are such extraordinary young women. When they were unable to find a school that provided what Caroline needed, the DeLuca’s founded the Caroline School. Elizabeth said that the school is the place where children, no matter what their disability or medical condition, need and deserve a school where the curriculum is adjusted to their capabilities, where the teachers and aides care deeply about the children, where children feel safe and loved. 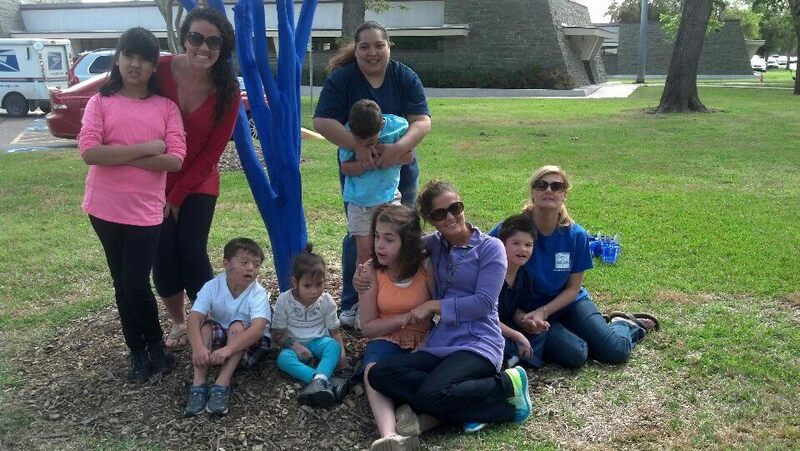 The school at Easter Seals Greater Houston that Caroline inspired is just that place. Like most 18 year olds, Caroline loved music, swimming, fashion and friends. Unlike most 18 year olds, she had to fight really hard to be here with us-sharing her smile, her strong fighting spirit and her joy. While her physical presence is gone, her spirit lives on in the memories of her friends and family and in The Caroline School and Easter Seals Greater Houston, which will continue to provide a joyful and caring place for children with special health care needs. Thank you Caroline, for the gifts you gave us all. We will miss you…I will miss you, but I am grateful for having known you and for the hearts you opened, the work you inspired, the joy you shared for the brief time you were here. I will work to do my small part in carrying on your powerful legacy. Easter Seals Greater Houston · Creating solutions, changing lives.